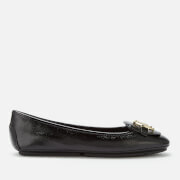 Brown ballet pumps from MICHAEL MICHAEL KORS. 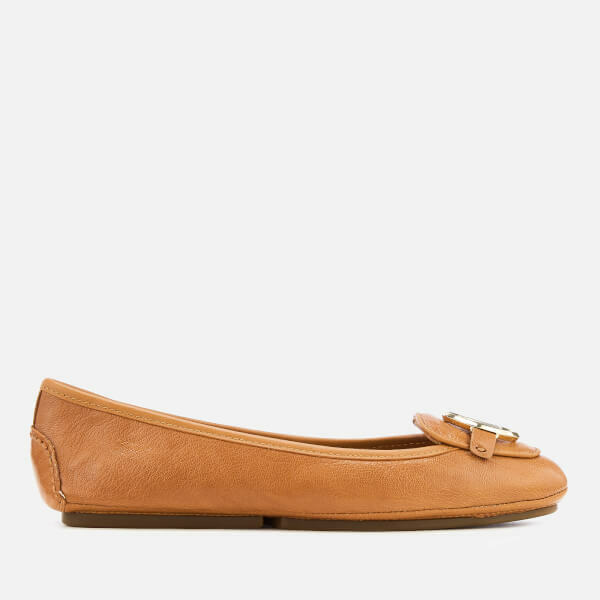 Presented in luxurious textured leather, the ‘Lillie’ moccasins comprise a slip-on style with a rounded toe, decorative stitching and a quilted footbed for ultimate comfort with every step. 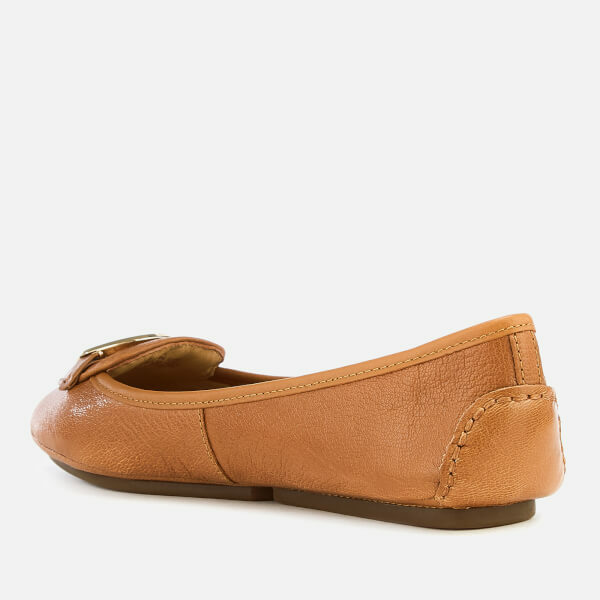 Set upon a segmented rubber outsole for grip and stability, the flats are finished with a metal ‘MK’ badge to the front.